What the heck, September? Suddenly the light is different, the air is cooler in the mornings (though maybe not in the afternoons yet!) and the sun is setting much earlier. It’s been a pretty productive season in the garden, and although it didn’t exactly feed us, it still feels like a pretty awesome accomplishment. 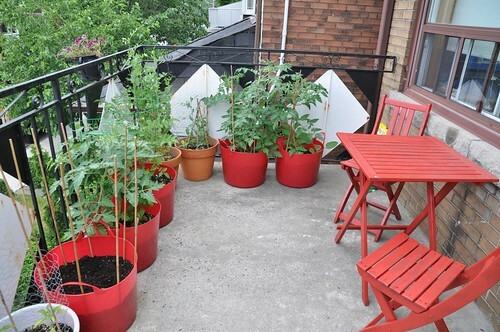 I grew tomatoes from seed to salad! 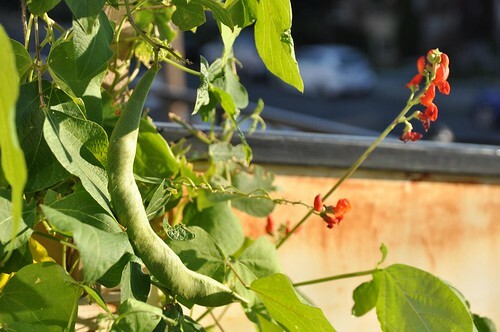 I’m just leaving the scarlet runner pods on the plant, they should hopefully dry out and give us enough for, oh, one bean soup? Heh. 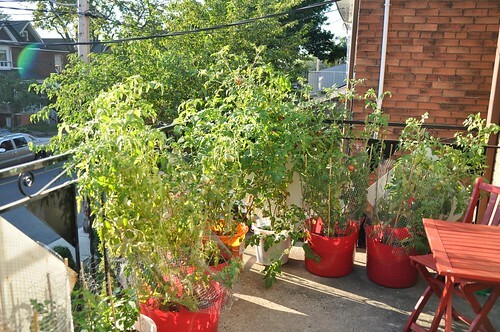 The tomato plants did well this summer – check it out compared to this photo I took on June 27! 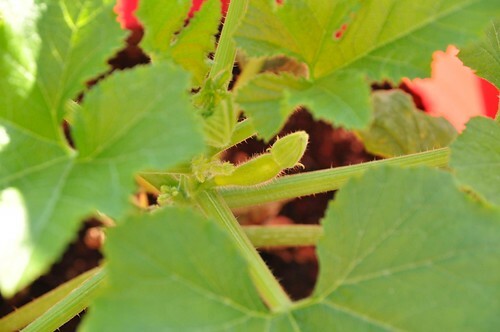 The plants that had flea beetles more or less came back, and there’s lots of unripe fruit on the plants. I’m hoping that it doesn’t get too cool too quickly, but at some point we’ll just have to harvest everything from out there and bring them in to ripen. 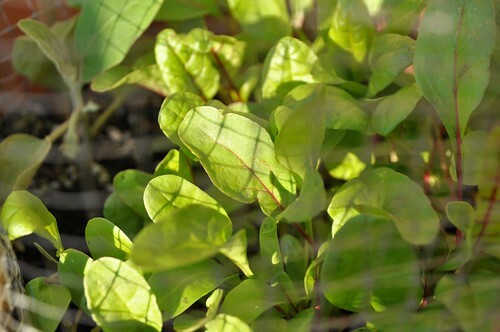 Put in a new crop of rainbow chard. The baking soda spray on the zucchini plants seemed to help with the powdery mildew (along with removing the really bad leaves) and the plants have survived with new growth and leaves. Unfortunately, I don’t know if I’ll get even one squash from the 2 plants! This little one might live, it might not – they’ve been shrivelling up before actually growing, sadly. I think when I take out the plants, I’ll put in some garlic to overwinter. 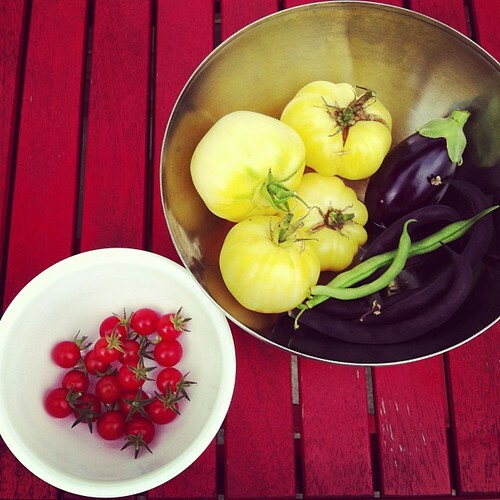 August 31 harvest – tomatoes, beans (there’s purple ones there too, they’re just hard to see) and a little eggplant. The eggplant looked pretty vigorous and all, but only produced 2 small ones. 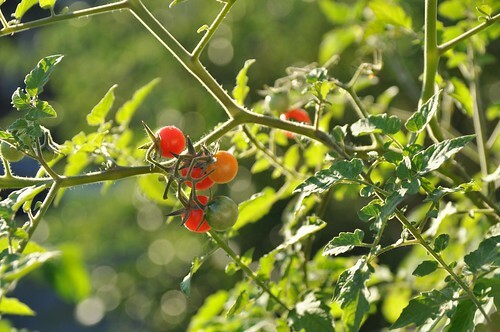 There’s still cherry tomatoes to harvest. I love the way they look in the sunshine.